There is no absolute certainty of the conditions in which coffee first arrived to Colombia. Historical data indicate that the Jesuits brought small seeds with them at around 1730. The truth is that coffee is produced in many regions nowadays but Colombian coffee appears to always be featuring within the top part of any list and this is because Colombian coffee is characterized for being a beverage that has a clean taste, medium to high acidity and body, with pronounced and completely round aroma. COLOMBIAN EXCELSO is a high grade / extremely powerful coffee from the central Cordilleras mountains of Colombia. 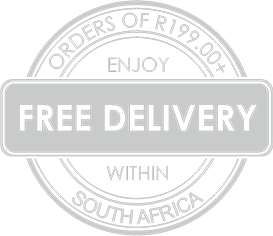 Produced by one of the most accredited freeze dry processing plants, imported and packed in South Africa by Mostra Di Cafe and offered to the consumer exclusively via our e-shop. 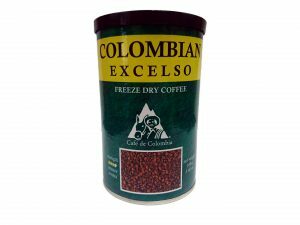 If an instant coffee solution is what you are looking for, we invite you to enjoy COLOMBIAN EXCELSO, knowing that this specific freeze dry coffee is the closest thing to savouring an excellent cup of coffee of premium quality, at a price that cannot be found any were else in the country. Packed in airtight composite cans, made out of recycled / food approved material, lined internally with a thin layer of aluminium for absolute freshness. Net weight: 100gm.